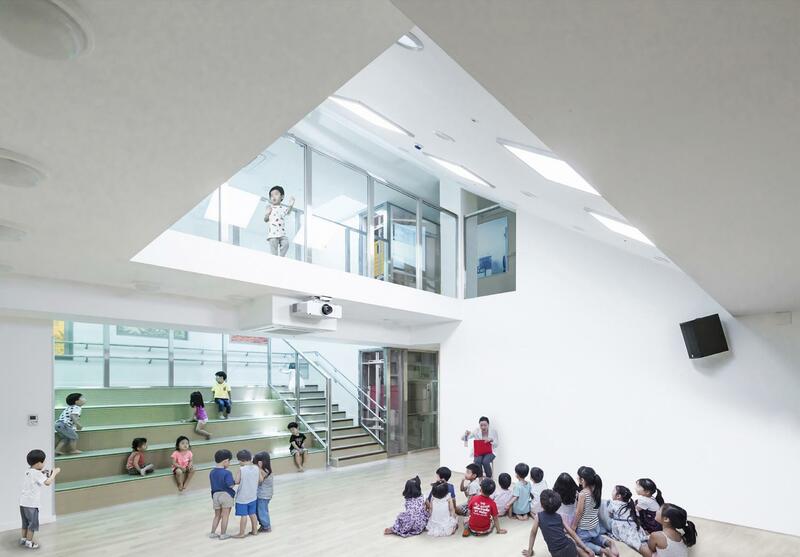 Design concept of Tetris Nursery was to creat diverse events of learning experiences. 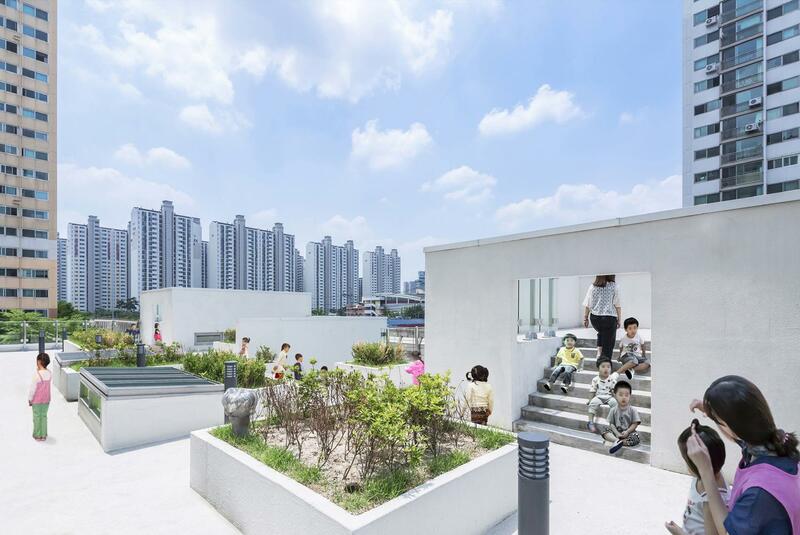 As for the programs of learning diverse experiences for kids, we tried to introduce various spatial events which are continued by strolling all around the places in this kindergarten. 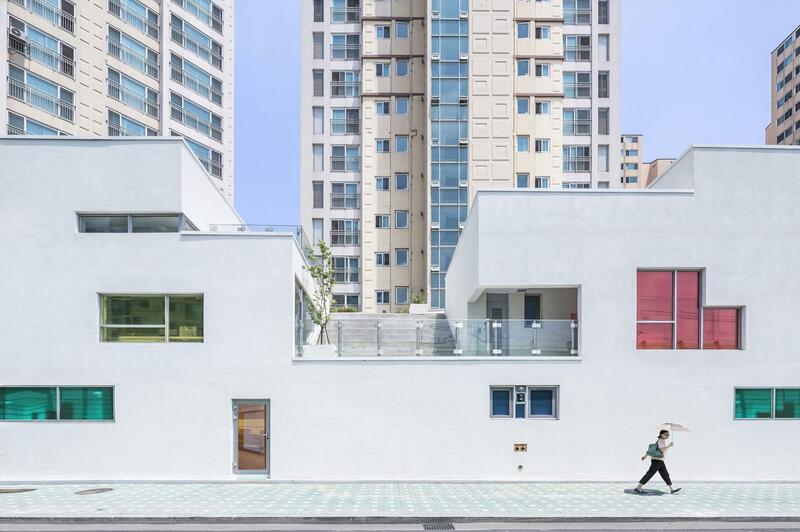 From playground, through the playstair, rest terrace, playbridge, roofplaystair, upto roofgarden, there are various strolling spaces of circulation and playful spaces. 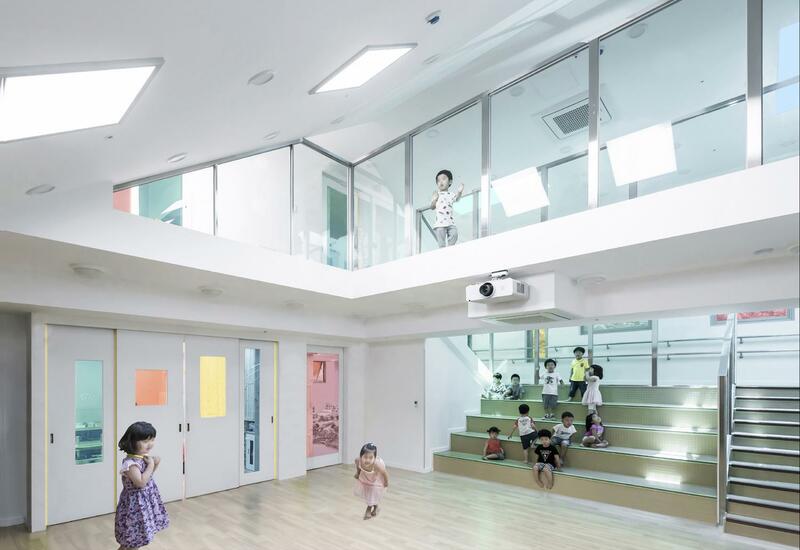 Consequently, all the inner and outer spaces are playful spaces, at the same time, they are the places of learning diverse experiences, we expected this kindergarten to be the educational places for various experiences of many kinds of qualities of spaces. 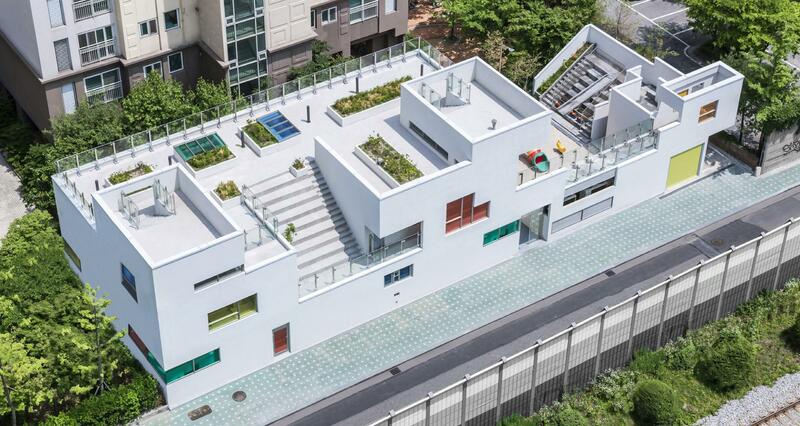 To introduce southern sunlight, we adapted clearstory system to each roofs of this kindergarten, so it divided into several masses which look like Tetris block. By design the colorful glazed windows of translucence, we tried to teach all kids the physical experiences of change of color and mixed color. 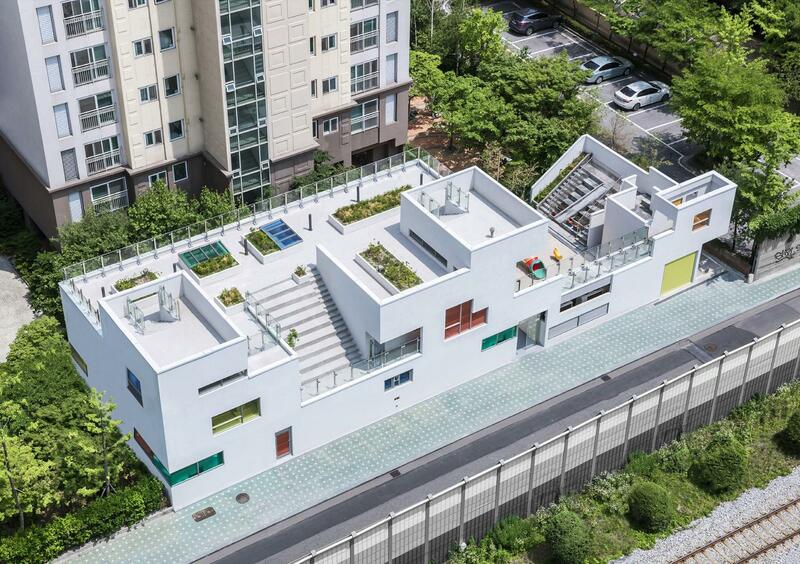 We expect all the parts of this architecture could be the learning things for all the kids of this kindergarten.